A couple of years ago, myself and a group of friends had a catch-up weekend down in Poole, Dorset. 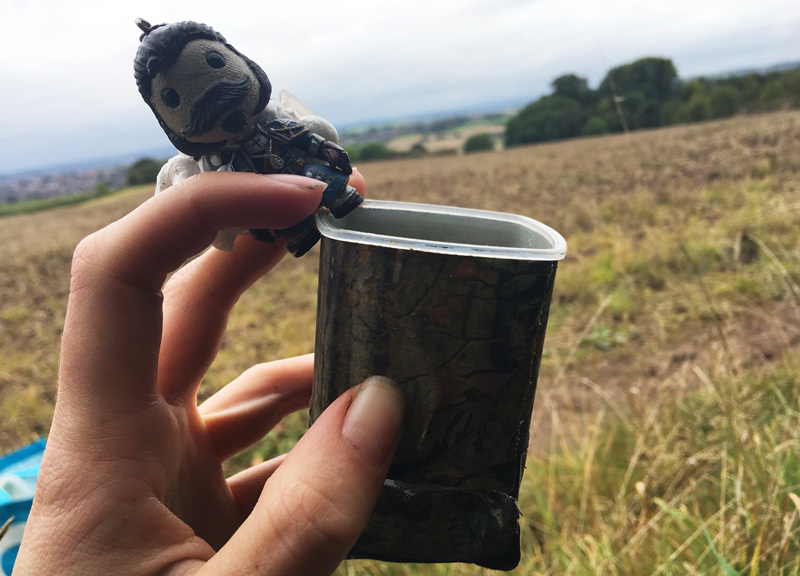 On the coach ride down, we were researching ideas for quick and adventurous activities for our weekend and stumbled across geocaching in the National Trust’s guide to 50 things to do before your 11 ¾’s (an offbeat choice for our research). 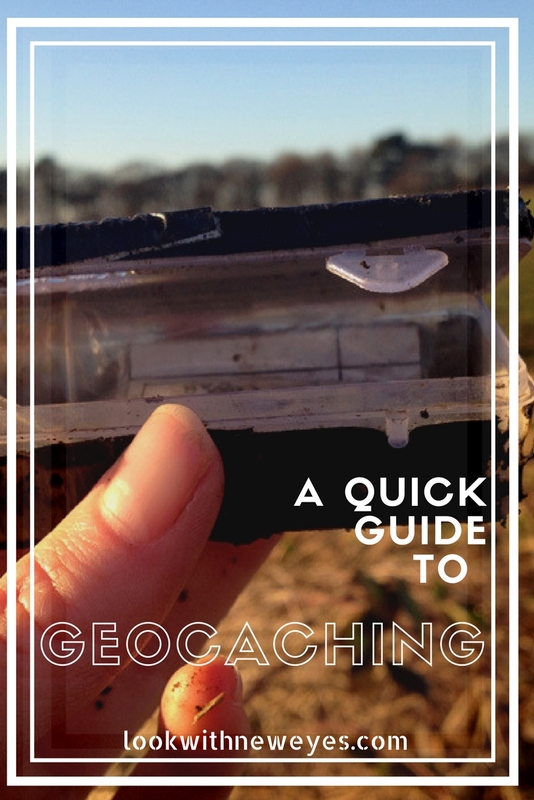 Geocaching can be described as a global treasure hunt, using GPS coordinates to find physical containers ranging in size from a thumbnail to large metal boxes. Each container has a log book for you to sign to show you have visited the site. You also need to log your visit online, either on the website or directly on the app. Where do I find geocaches? All over the world! From small villages to remote islands to big cities – simply search your current location using the app or website. Anyone with a premium membership to the site can place a cache, but it’s recommended you spend some time finding various caches first, to get a feel for the game and the types of caches you can be placed. 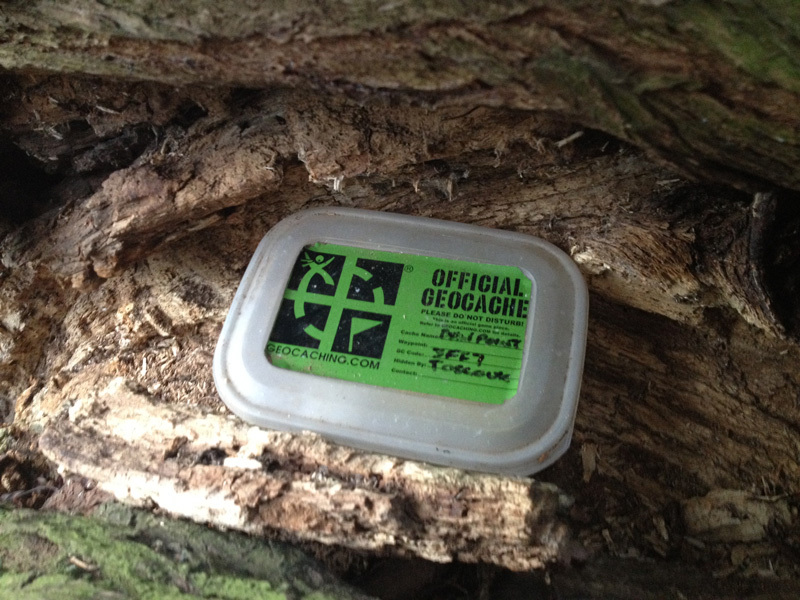 What do geocaches look like? Each geocache will have a size rating when you select which cache you would like to navigate to. These range from extra small containers which can be the size of a fingernail, to plastic containers and giant metal boxes. I’ve also come across a few quirky containers such as a plastic magpie in a tree! 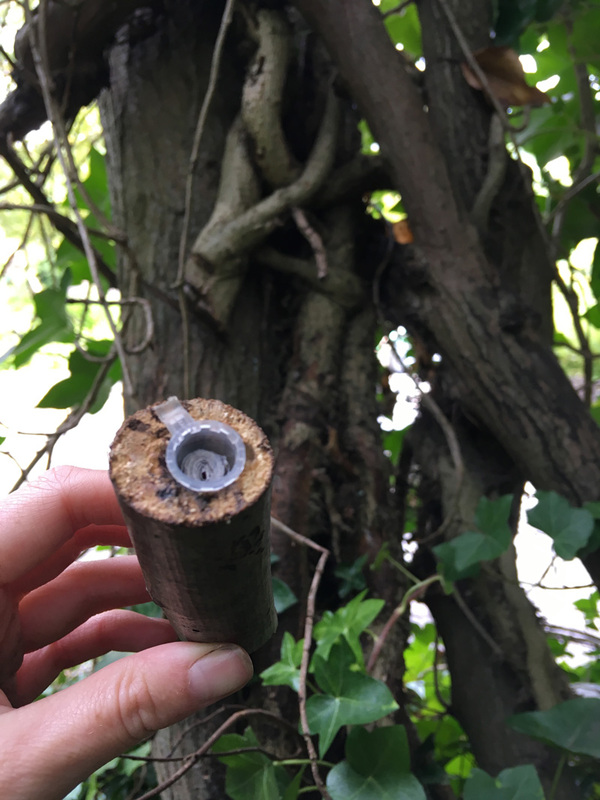 There are a number of different types of caches from traditional to earth; from mystery to events, some of which require you to answer questions or clues instead of finding a physical container – find out about the different types here. 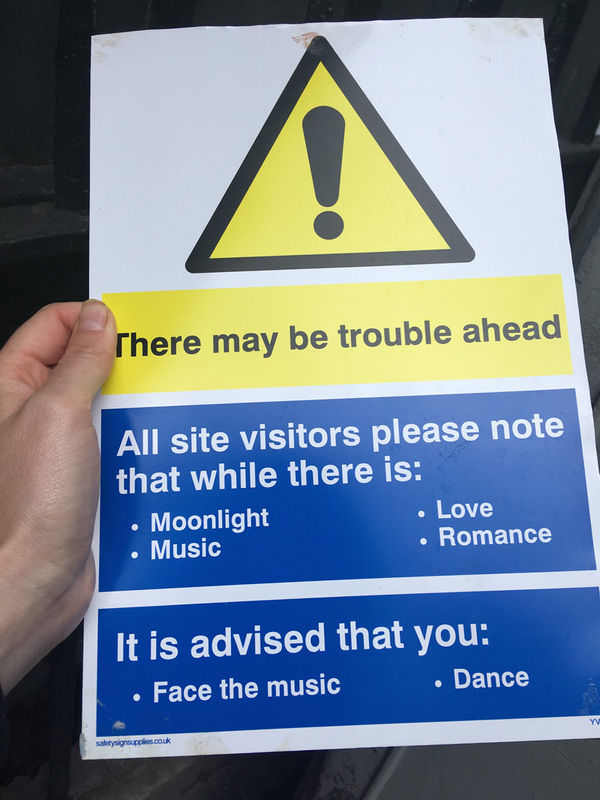 A cheeky geocache disguised as a warning sign! 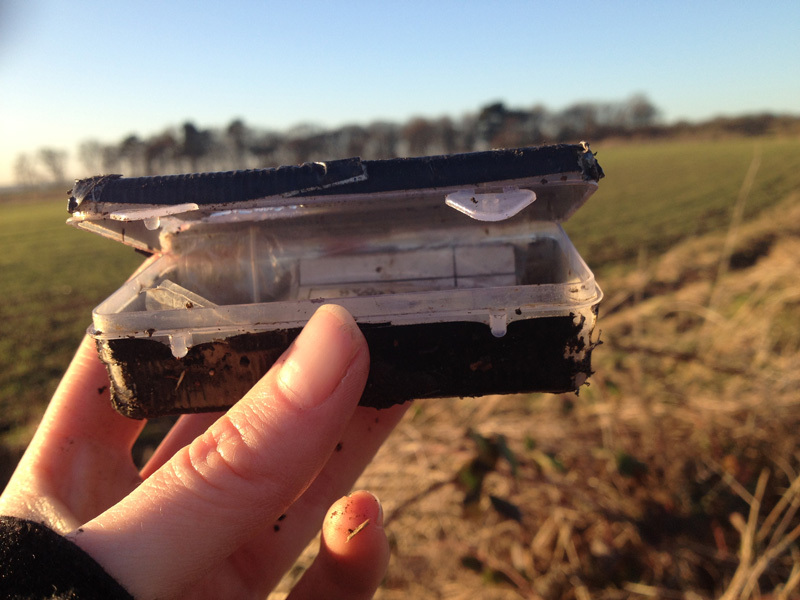 What is inside a geocache? This will depend on the size of the cache you choose to look for. If it’s an extra small, inside will usually just be the log book. Small and above may have various items you can swap – just remember whatever you take out, you must replace with an item that is similar or higher in value – and it must not be perishable! 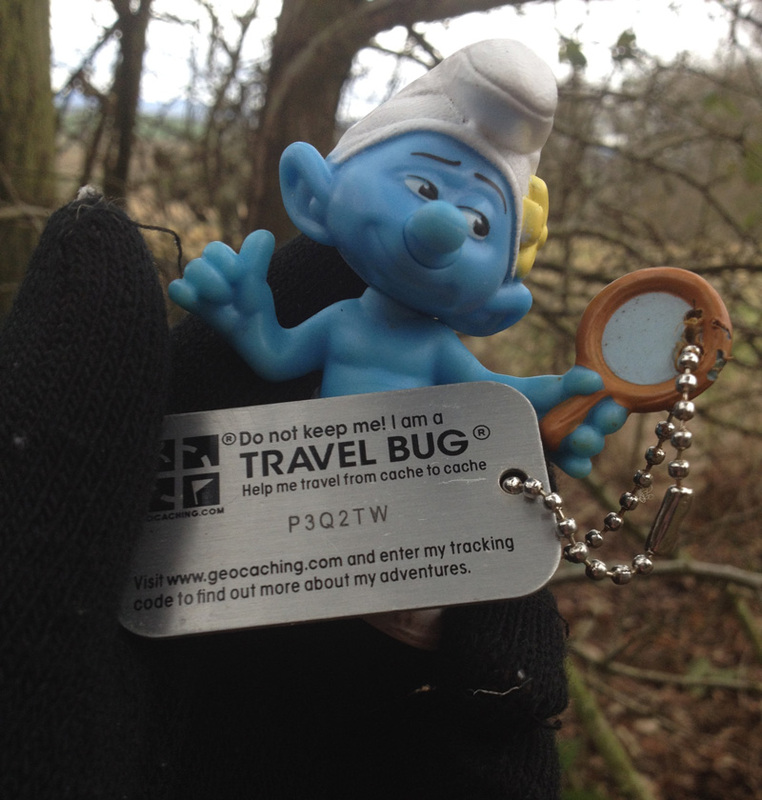 You might also find a ‘travel bug’ which will have a little keyring attached with a code. Travel bugs are designed to move from cache to cache, so if you pick one up, take it on a journey. You must log the travel bugs journey by typing to code into the ‘trackable’ area on the app or website. Here you will also be able to see where the bug has been on its journey. I picked this one up in the New Forest in England with my Girl Guides group which had come from New Zealand! Here you will also be able to see where the bug has been on its journey. I picked this one up in the New Forest in England with my Girl Guides group which had come from New Zealand! You will either need a GPS receiver or a smartphone with the Geocaching app downloaded. Create a username, which you will also use to sign the physical logbooks found in each cache. 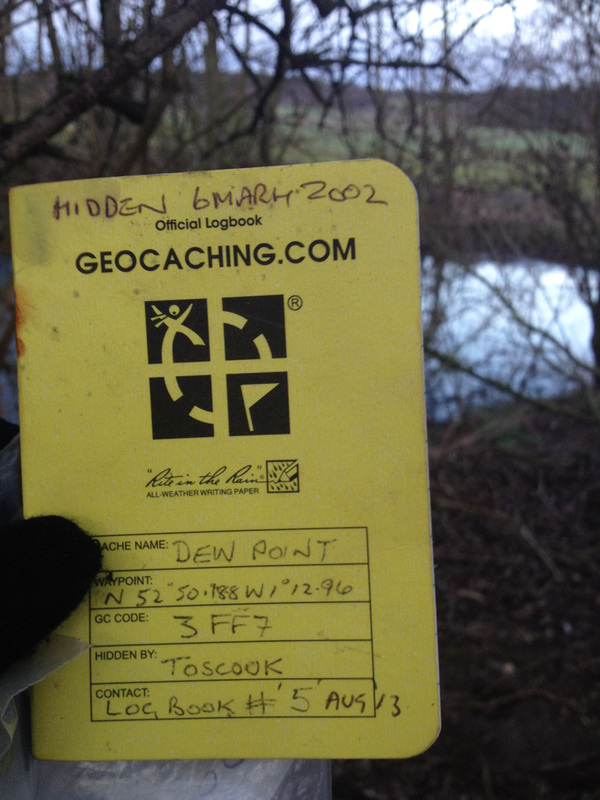 The app is free to basic members which will allow finding caches with a difficulty rating of two or below. To unlock all the caches, you will need to upgrade to premium which is currently (in 2017) £25 a year or you can try it for £5 per month. This also allows you to save caches onto an offline list so it doesn’t eat up the data allowance on your phone. Apart from your smartphone or GPS receiver, you just need to take a pen to sign the log book. We found our very first geocache which was an old style camera film canister attached to clear fishing wire, tucked in a small corner of the car park, down a drain in Poole. 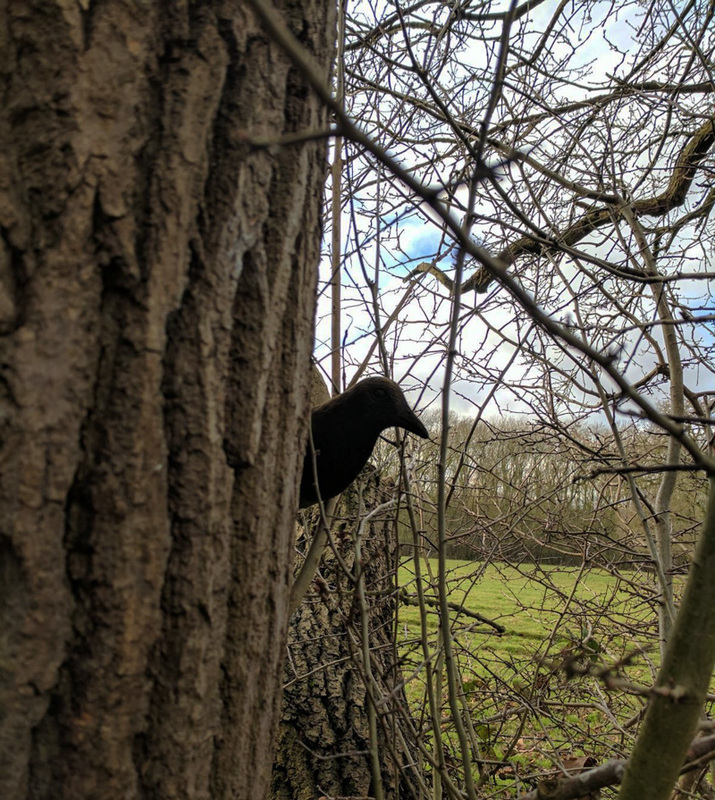 I resisted getting a decent smartphone for a while and completely forgot about the app until the end of last year when I searched and found over 40 caches in my village. So at the end of 2016, I set myself the goal to find 100 in 2017 – and I’m currently at 84. 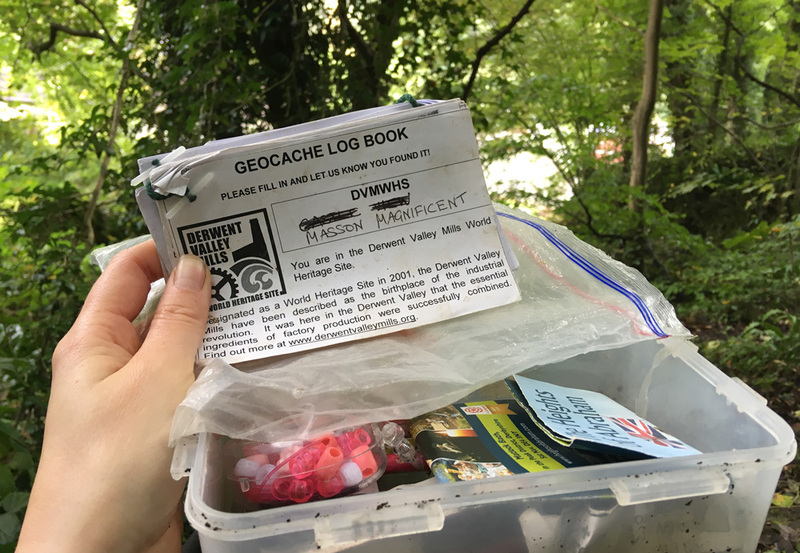 It’s taken me to areas of London I’ve never been, up to the Derbyshire hills to learn about the cotton mills and inspired my local Girl Guide unit to find their first cache on a recent camp to the New Forest. A fun little way to learn about a local or new area and get out into the fresh air as well as feeling like you’ve achieved and won something! 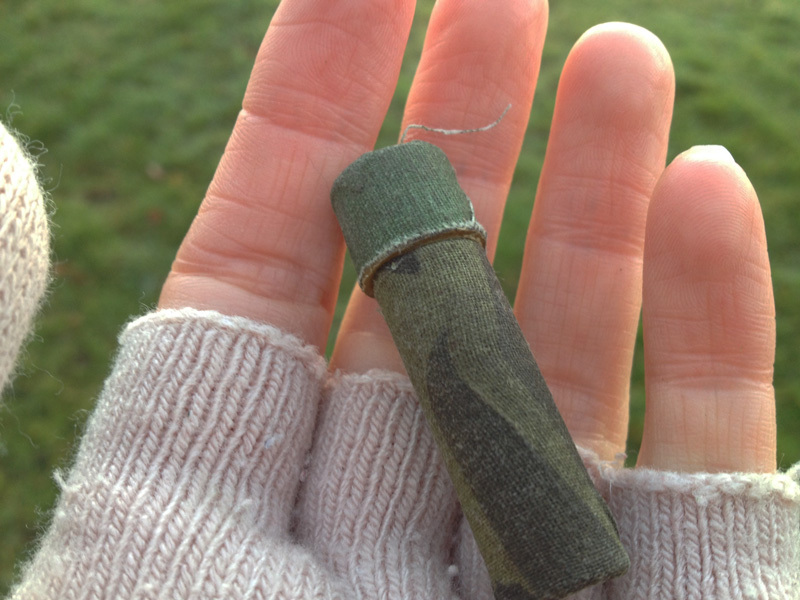 Have you ever tried geocaching? 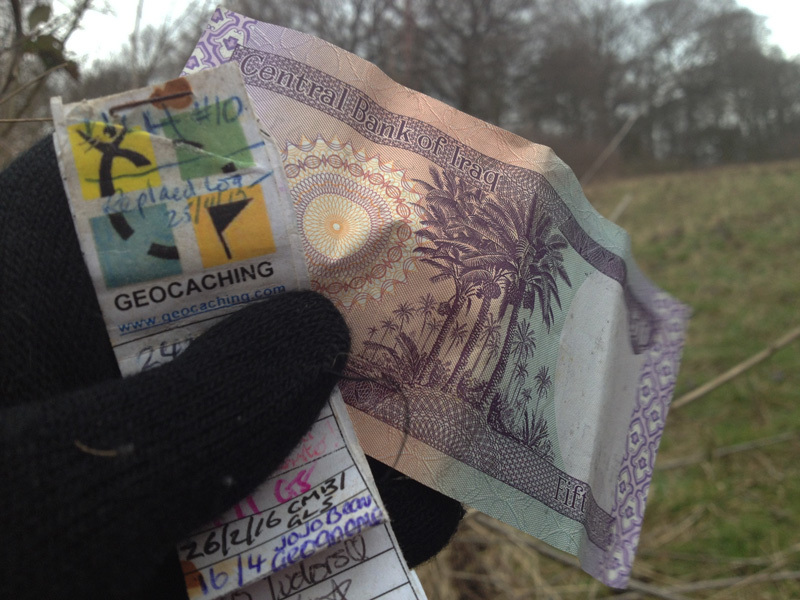 Have you discovered any new locations in the pursuit of a cache?